Over the coming weeks we will be posting links to particular chapters from this new and challenging book, edited by Naomi Stanton. We are doing this as part of the YMCA College’s commitment to spreading the word as widely as possible. Amidst the hurly-burly we hope you will find time to peruse and reflect upon its contents. Tomorrow will see the appearance of a controversial opening chapter, ‘What sort of future?’ by Tony Jeffs. This book aims to offer reflections for youth workers to stimulate their thinking, dialogue and practice. Some of the sections include suggested activities that can be used with young people directly; others are for use with staff and volunteers to prompt discussion about youth work in the current context that practitioners find themselves in. Our aim for the resource is that it will encourage innovative thinking and practice through ideas and activities that youth workers find useful and that will help them to consider their work together with other youth workers and young people. A range of issues and topics are covered within the book including, among others; volunteering, evaluation, conflict, mentoring and social action. It is not a resource compiled for practitioners by academics. A large number of its contributors are practising youth workers. It is a practical toolkit drawn from practice itself. Therefore the topics covered are current issues for current practitioners. In particular, it considers how we might explore the values and practices of youth work at a time when youth work feels under threat. We hope that it encourages optimism and innovation despite current challenges to the field. The book has been created through a wider project taking place at YMCA George Williams College that has been concerned with encouraging ‘Innovation and Skills for Youth Work’. 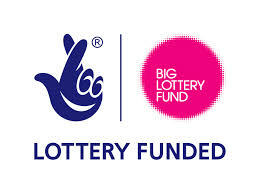 This project has been supported by funding from The Big Lottery Fund’s ‘Awards for All: England’ programme and has involved two national youth work conferences and ten regional training days as well as the development of this resource for practitioners. The project aimed to provide space and opportunities for youth workers (particularly volunteers and new practitioners) to reflect on, develop and upskill their practice. We hope that this resource plays a small part in continuing to sustain and encourage youth workers because we firmly believe that youth work is valuable and the role that youth workers play is highly significant to the young people they engage with.